Imagine waking up every morning and being able to tell time from your wall clock without being dependent on your glasses? Not every befriends a friendly cute little alien that can magically cure their eyesight. In reality, only LASIK eye surgery can make your dream come true! Laser eye surgery might sound like a huge step, but it is the most convenient and painless way to have a clear vision without glasses or lenses. Whether you are planning to get a LASIK eye surgery and look flawless in an upcoming family event or your curiosity brought you here, we have combined all the information that you need to know about LASIK surgery. LASIK stands for laser In-situ Keratomileusis and is a surgery which is used to correct vision in people who are nearsighted, farsighted or have astigmatism. It is a type of refractive eye surgery that provides you with the convenience of unobstructed view. Other kinds of LASI surgeries include Femto LASIK, PRK (Photorefractive Keratectomy), Epi LASIK (Epithelial Laser-Assisted In-Situ Keratomileusis) and Wavefront-guided LASIK. Did you know that since 1997 more than 40 million LASIK surgeries have been performed worldwide? So yes you are not risking your vision with some amateur technology. Your dream to shed the burden of your glasses and get rid of the fuss of wearing and removing your lenses can be achieved through Laser eye surgery. But you might want to dig deeper and know more about this treatment. With this blessing for all the people who are dependent on their glasses and contact lenses, here’s your chance to reveal your exact features through LASIK eye surgery. Are you suitable for LASIK Eye Surgery? So, you have finally decided to get LASIK treatment but have specific questions in mind. Don’t worry the following points will clear your doubts and you can easily book an appointment with your eye doctor. The first question that probably pops up before getting a Laser eye surgery is that am I really too young or too old for this? People who are under the age of 20 and are above 40 might sorry, but you have to drop the idea of getting LASIK eye surgery now! You are suitable for laser eye surgery only if you have a stable prescription for at least two years. However, LASIK is FDA- approved for people who are 18 years old and above, but it is safe to get laser eye surgery in your mid-20s so that your eye power gets stable. Around age 40 one starts to develop a condition known as presbyopia where it is difficult to see things at an arm’s length. LASIK cannot correct presbyopia. Although Mono vision laser surgery is an option, this surgery leaves the non-dominant eye slightly near-sighted so that it is easier for the patient to see things up close. LASIK eye surgery is suitable for people who have a moderate degree of refractive error, and they do not have any unusual vision problems. To make the process safe, your eye surgeon will ask detailed questions about your eye health.It will help us make sure that there are no post-surgery complications. If you have dry eyes, any eye injuries, Keratitis, uveitis, herpes, glaucoma or cataract then LASIK eye surgery is not recommended for you. You may also not want to get laser eye surgery if you are suffering from severe near-nearsightedness, high refractive error or if you have age-related changes like presbyopia. In such a situation it is safe to avoid getting laser eye surgery as it will make things even worse. So now that you have taken a firm decision to go for a LASIK treatment, you are probably worried about the LASIK eye surgery cost. If you are wondering it’s an expensive surgery, or how will you ask your parents for the operation if the price is too high? Then relax as this surgery is not very expensive. Approximately, Rs. 10,000 – Rs.15,000 per eye is what it will cost you. And it’s going to be worth your money. We know that it is all about your vision and your precious eyes, which is why you will consider choosing the best eye surgeons in Hyderabad. 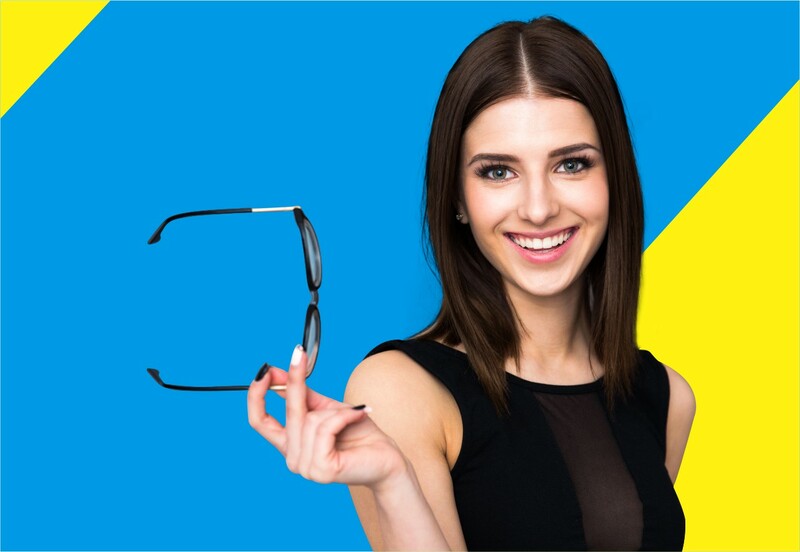 Maxi vision is the best choice when it comes to advanced eye care treatment as they have world-class eye care services with expert eye surgeons to provide you with the best treatment. And most importantly LASIK eye surgery cost depends on the kind of LASIK surgery that is suitable for your eyes. Remove your glasses for a second and look around. After getting LASIK, you will be able to see things clearly, and you will be burden free like this. We’re sure you’ll feel light without the glasses! You will be able to enjoy life as it is. You would be able to swim, watch movies from the last seat, would be able to tell the time from the wall clock from any corner of your room. But as you’ll age, you would need glasses. The success rate of LASIK eye surgery is very high, but after a certain age, you will need glasses. If you need anything before getting a laser eye surgery, then it is probably stable vision. If your eye power is likely to fluctuate or changes quickly it is not safe to get LASIK treatment. The surgery won’t be a success if your eyes power keeps changing. It is necessary to have a stable vision for at least two years so that you can enjoy clear vision post surgery. As more than 400 laser centers are performing more than half a million procedures in India every year, it is safe to say that laser eye surgery is getting popular in the country. The joy of clear vision has been made available to everyone with LASIK eye treatment. Shed the burden of glasses and the tiring process of wearing lenses and boost your confidence with LASIK eye surgery. We, at Maxi vision, aims at providing world-class eye care so that you enjoy life without any visual defects.